Boston has a lot to brag about. We're perfectly located in the heart of the most historically rich areas in the United States. We have a rich amount of diversity that draws people from all of the world into our city. We offer a dynamic, educated, cultured atmosphere that inspires residents to stay and build upon that progress towards an even better tomorrow. The New England metropolitan area continues to grow into a hub that serves the needs of several demographics—students, professionals, entrepreneurs, and families. Within the past year alone, it is clear that Boston, as well as the greater Boston area, is the right place to be for individuals and families to plant roots for a more balanced quality of life throughout different life stages. The level of education in Massachusetts has been a positive advantage compared to the rest of the country. 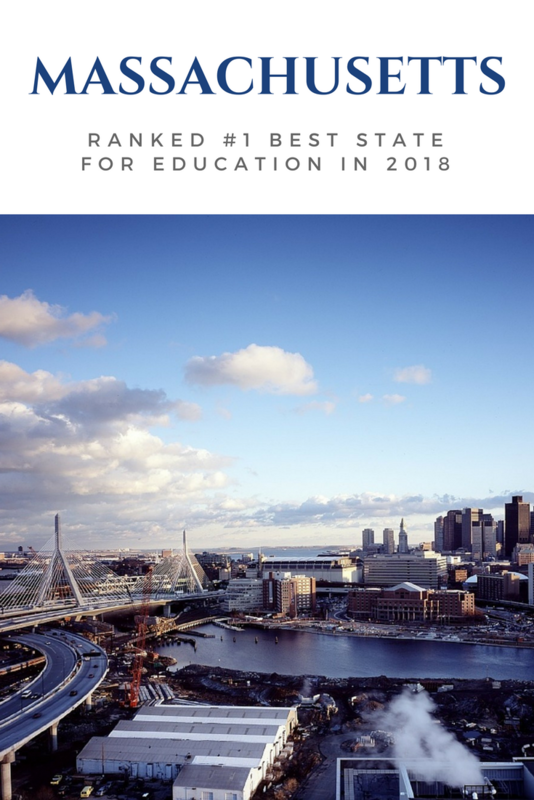 U.S. News & World Report named Massachusetts the top state in 2018 for education based on several key factors. In addition, several Massachusetts high schools earned national and state level recognition. Many people forget that the beach isn't too far from Boston—depending on the Boston suburb, it's only a T ride away! 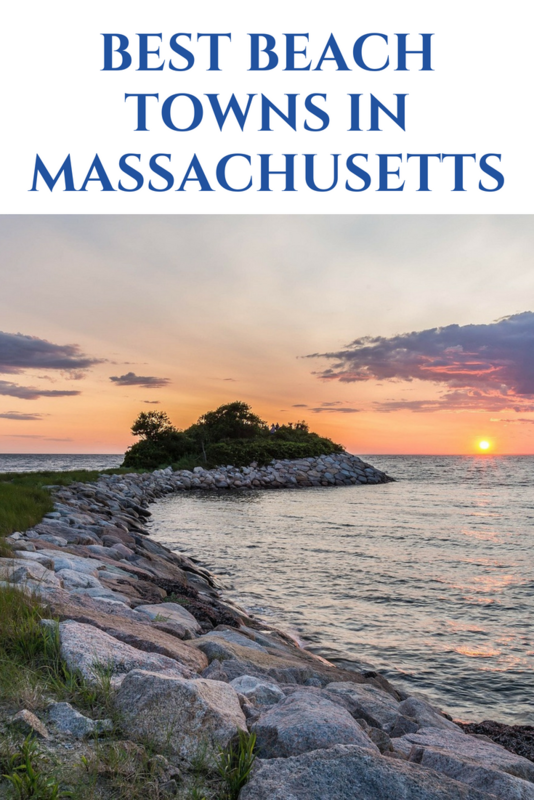 Living by the beach in Massachusetts while also having close access to Boston is an ideal living situation for some individuals and families. In 2018, these seven Massachusetts beach towns were ranked as the "Best Beach Towns to Live In" by WalletHub's study. And, if you're ever looking to escape Boston in the summer, take a trip to the Prettiest Town in Massachusetts named by Architectural Digest. 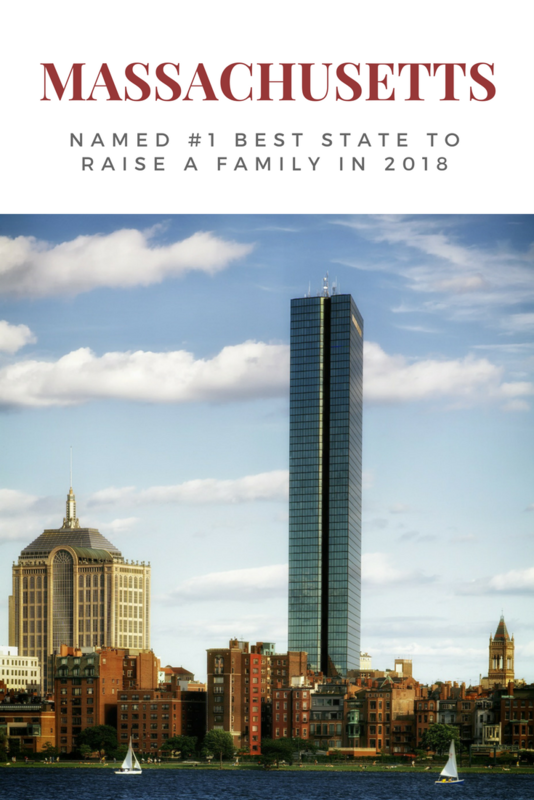 One recognition that truly set Boston and the state of Massachusetts apart from the rest of the nation was its top ranking as the Best State to Raise a Family. The badge of honor says a lot about how the state values community, education, safety and stability for all. Interested in moving to Boston or the Greater Boston Area? Feel free to contact us today by sending an email or giving us a call—we look forward to finding the right home for you! Somerville, Massachusetts is located just 2 miles north of Boston. Somerville is a densely populated community occupying slightly more than just 4 square miles. You will find a variety of both history and culture in Somerville. More than 50 languages are spoken in Somerville schools, as Somerville is one of the most diverse communities in the country. Somerville is defined by its city squares. 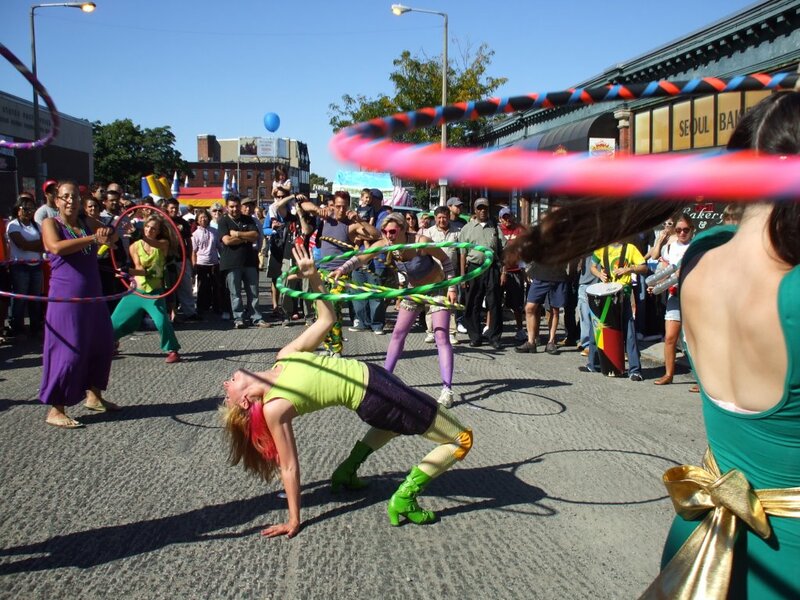 Among Somerville's most active squares are Union Square, Davis Square, and Ball Square. 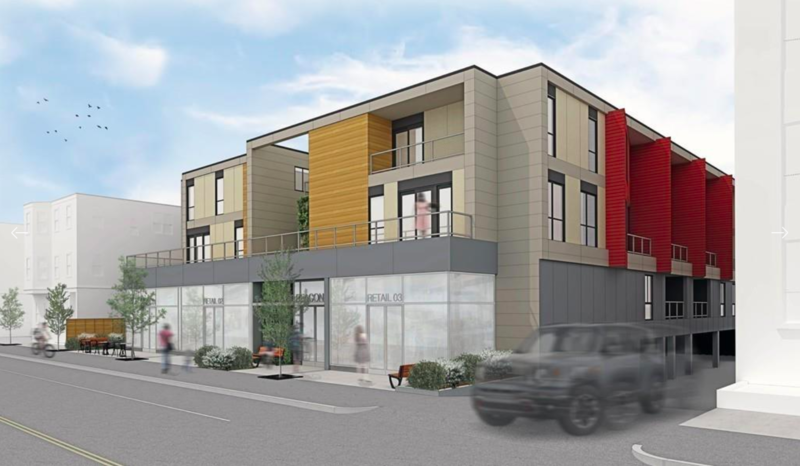 You will find a mix of housing styles available in Somerville. 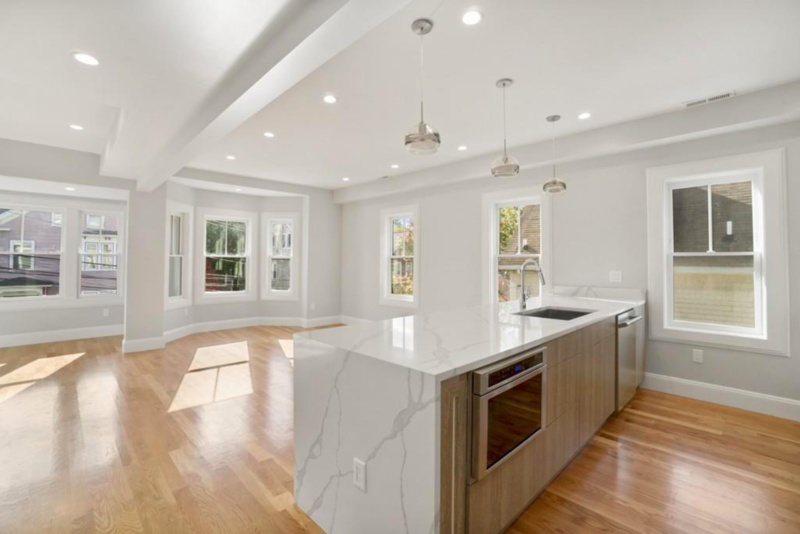 Although the real estate market in Somerville and other communities within the Greater Boston area, it has pushed developers to build beautiful, high-value properties to suit a variety of lifestyles. 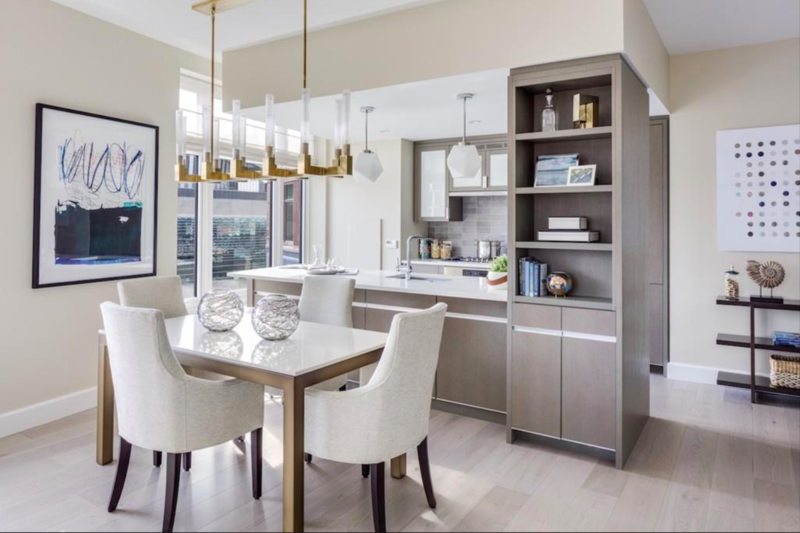 In this blog post, we want to highlight these luxury condominiums that can accommodate working professionals or serve as an ideal real estate investment in close proximity to Boston. $100K PRICE REDUCTION!! 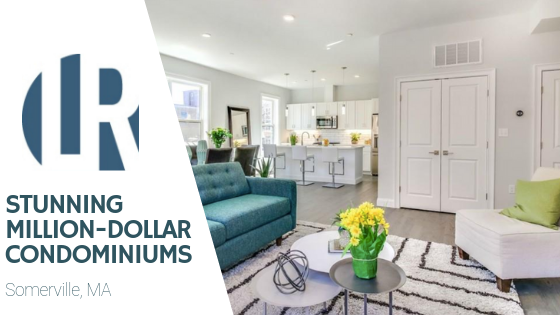 Exceptional new renovation 4 bedroom/3 bath penthouse duplex with high end features throughout, spacious rooms, private outdoor space + 2 car parking, all on a sleepy side street near Davis Square! A private entrance takes you upstairs into an inviting open floorplan with living, dining and kitchen spaces. The kitchen is simply gorgeous w/an oversized peninsula, Thermador professional appliances, Statuary Classique quartz countertops + striking woodgrain cabinetry. There are also 3 bedrooms on this level, including a guest suite with a private bath and deck. The bathrooms are tiled in a modern pallet w/Grohe fixtures + modern vanities. Upstairs is a dedicated master suite w/two rooms, cathedral ceilings, a beautiful tile bath with an oversized shower and access to a private deck from this level. Added perks include HWF's throughout, energy efficient systems + lighting, high profile millwork, quality Jeld-wen windows and so much more! 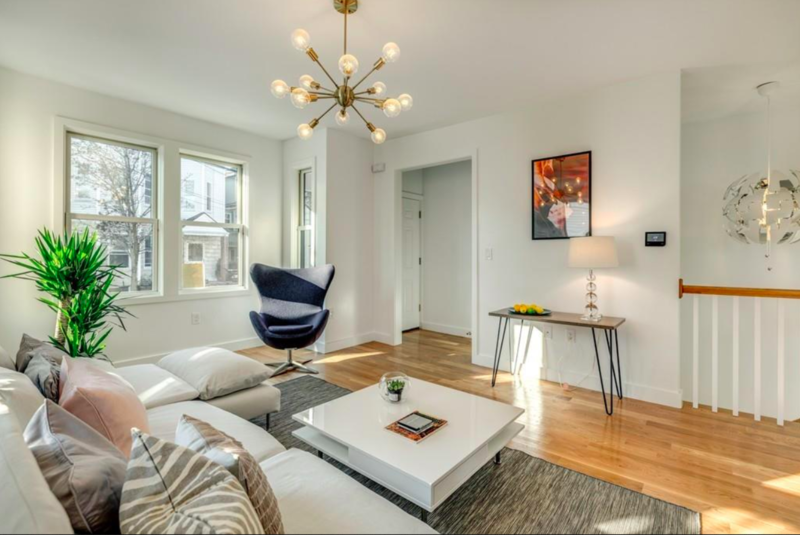 This sun-filled 3BR 2.5 Bath condo on a quiet street has been gut-renovated into modern duplex. Open floor plan on the 1st floor offers a spacious and flexible living space. A sunny study and two bedrooms upstairs with vaulted ceilings and skylights reveal artful design. In-unit laundry w/ washer/dryer installed. Relax on the front balcony or host BBQ parties on a massive private deck. Features include: Marvin Integrity Energy Star windows, Carrier 2-zone central HVAC with smart thermostats, Navien tankless on-demand water heater, Bosch appliances, Hansgrohe plumbing fixtures with rain shower. State-of-the-art fiber cement sidings, mahogany deck boards, and permeable stone paved driveway are built to last! A deeded parking spot wired for an electric car charging station and a large storage shed complete the package. 10 minutes walk to Harvard, Porter Sq, and Whole Foods. Commuters' dream: Red Line T at Porter Sq; bus or bike to Kendall Sq; Green Line T at Union Sq to open in 2.5yrs. Last one/////40 MEDFORD STREET is on the Cambridge/Somerville line close to Kendall Sq, Inman Sq, Union Square, and the proposed New Green Line Station. This NEW CONSTRUCTION elevator building is Luxury Living and has all the amenities. 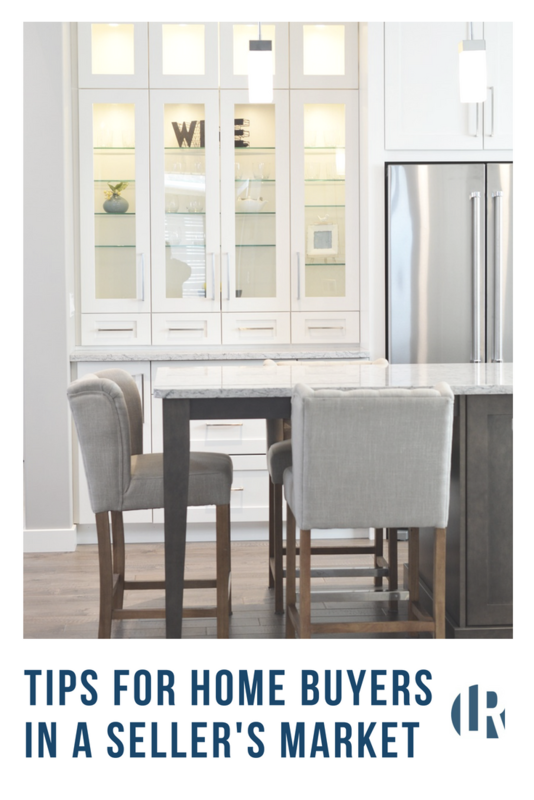 Top of the line cabinets with Quartz marble countertops with GE Café SS Appliances. Bright Sunny Airy Town House Condos wit high ceilings on 2 floors 3rd and 4th floor. Open concept on First Floor with 1/2 Bath and 3 Bedrooms on the 2nd floor and 2 full Baths(Top floor). Condo fee $193.23 a month.1 deeded parking spot per unit. Are you searching for the perfect home in Boston, MA or the Greater Boston Area? Contact us at Longwood Residential today by sending us an email at info@longwoodresidential.com or give us a call at 617-396-3100. We look forward to hearing from you and learning how we can help you find your home in Boston! Where are you going to get your holiday shopping done in Boston? 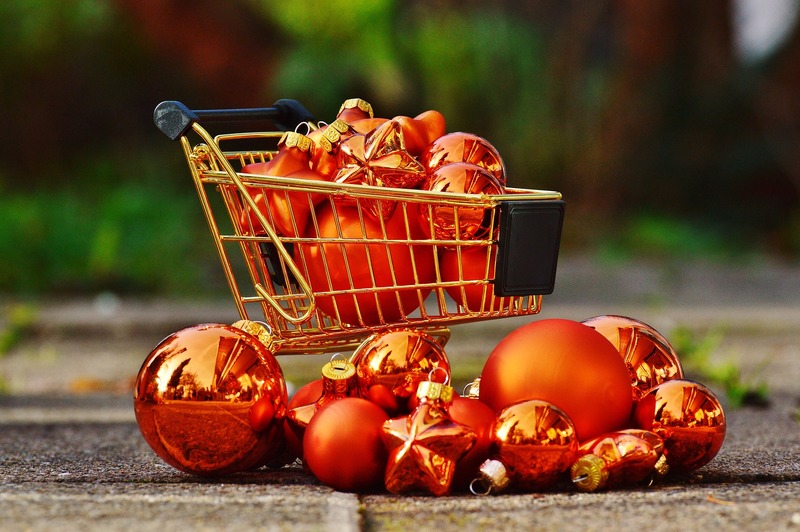 If you're new to the Boston area, it can be overwhelming to figure out the best places to meet your holiday shopping needs. Are you looking for bargains? One-of-a-kind, artisanal gifts by a local maker? Something in between? Let us help guide you in the right direction with some local Boston shopping guides! 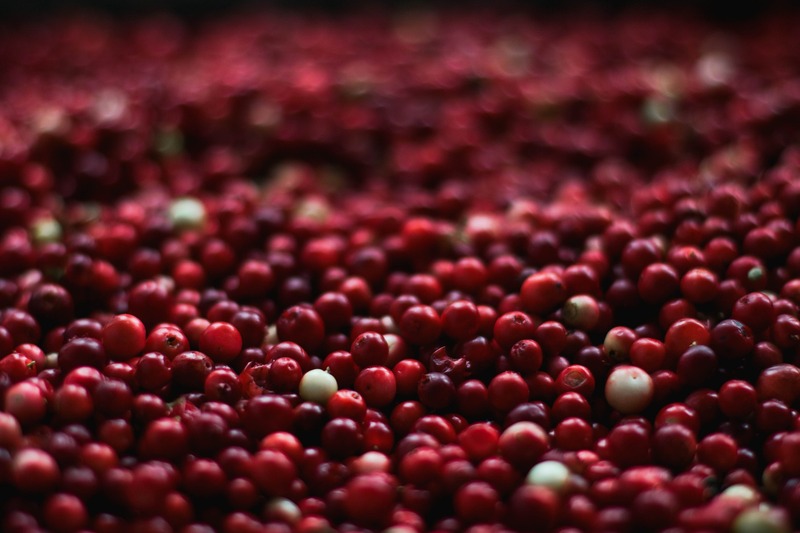 Sometimes there is no better way to get in the holiday spirit than giving back to your community by shopping with artisanal, local vendors at a festive marketplace. TimeOut has great suggestions for the hottest pop-ups and unique local markets happening this winter in Beantown. Even though the kids probably have quite a long list for Santa, delight them with something unexpected and special under the tree! Mommy Nearest breaks down the perfect places in the greater Boston area to find the right gifts that the little ones will love. There are plenty of places to shop in Boston, but why not try somewhere outside your neighborhood for a change? Take a day to explore a different town or mall that you haven't been to before and make it a fun holiday adventure remember! P.S. 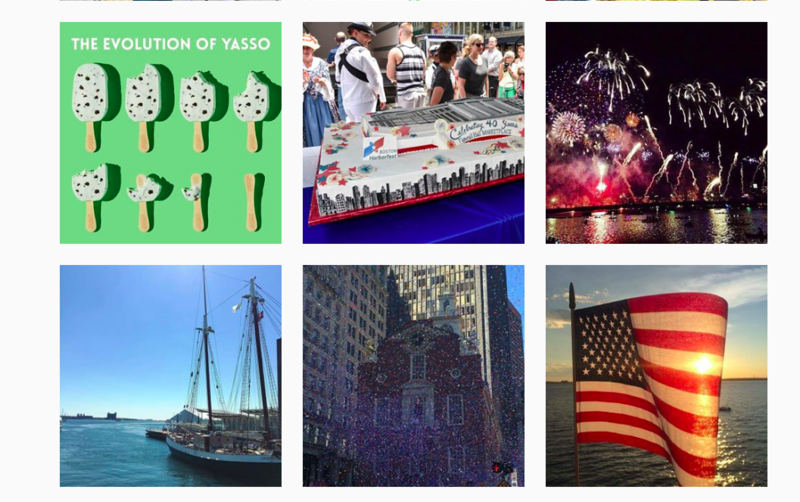 Want to get add a dose of festive Boston photos onto your Instagram? 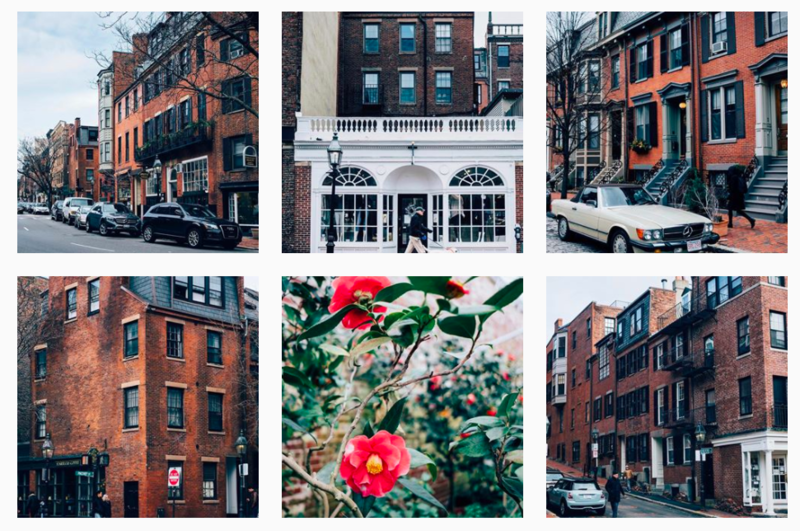 Follow these Boston-based influencers we love! 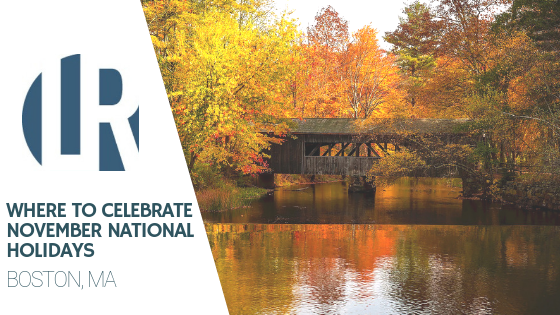 Although there is a hint of hokey-ness associated with the concept of "unofficial national holidays," the themed days offer great opportunities for small talk at the office or even inspire you to take the time to do something you enjoy or try something different. Where's a better place to celebrate National Author's Day than your local independent bookstore? Open since the late 1800s, The Brattle Book Shop in downtown Boston is one of the oldest bookstores in the nation. Trident Booksellers and Café on Newbury Street is another great option to browse books with a cup of coffee or over Sunday brunch! Fun Fact: Technically, Happy Hour is illegal in Boston. However, there are plenty of bars that offer great after-work food specials to go along with your beer and cocktails. Eater Boston has a complete round-up of the Boston's Best After-Work Dining Deals to check out with your coworkers or weeknight date! Explore somewhere new outside of downtown and get a breath of fresh air along one of the beautiful hiking trails in Massachusetts or nearby in New Hampshire. Living in the Boston area means you have access to both mountain and the beach! See where you would like to spend the day on Fitt Boston's list of must-see hiking spots nearby Boston. Not crazy about going outside of the city? Take a late afternoon stroll along the Charles River in Cambridge and stop for dinner around Kendall Square for farm fresh, local options. It seems like the reminders for holiday shopping start so early, but November 25 marks the official 1-month countdown to Christmas. Not sure where to shop in Boston? Scroll through our shopping guide to find the perfect place to find the rights gifts for everyone on your list. Technically, the national holiday is "E-Greeting Card Day." but we'd prefer to take the time and send out snail mail! It's hard not to walk into a stationery store surrounded by neat pens, elegant cards and, leather-bound journals without feeling inspired to write a note (or two). Check out Black Ink's locations in Boston and Cambridge, or any of these local stationery shops. It's no secret that the Boston real estate market is on fire right now. 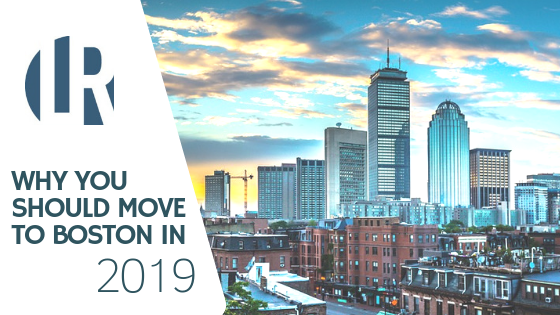 With all of the business development opportunities pouring into the city—alongside the already established education and medical sectors—the Boston housing market has reached unparalleled levels of competition among buyers. Although the hot real estate market is a positive indicator for Boston, the climate is increasingly difficult for first-time homebuyers to settle in the Boston area. Today's Beantown area buyers now find themselves searching for their home in a real estate market where inhabitable fire damaged homes or barely habitable fixer-uppers are listed for $600K or $800K respectively. In a seller's market, buyers are at the mercy of the market and are much less likely to hold the position of power. Bad news for home buyers, but great news for seller's who can make a higher profit because of the increasing demand for housing. In a buyer's market, the power reverses—buyers are in the position of power and are much more likely to able to negotiate terms (i.e. price) in their favor. The seller is less likely to get their ideal list price. It is certainly seller's market in the Boston area—the low inventory for homes remains vastly disproportionate to the continued exponential growth of Boston residents. Set realistic expectations. Everyone loves being optimistic, but it's also important to consider the reality. Your expectations, your must-haves, and/or your budget may not align with the current climate of the real estate market. For example, in a seller's market, there is less leverage for a buyer to negotiate repairs. Get prequalified/preapproved for a loan by a lender. Be proactive by getting prequalified and having a letter to show sellers. Why? Sellers want to see proof that you can afford a loan and will be more willing to accept your offer before someone else who is not prequalified. Make a strong offer and move fast... Buying a home in a seller's market is not a gentle courtship. When you find your ideal home in a competitive market, chances are that there are plenty of other people who see the same potential for themselves. Be agile by submitting your offer as soon as possible. ... then be ready to anticipate a bidding war. Even after you put your best foot forward with your strong offer, don't be surprised if you're caught in a bidding war. Work with an experienced real estate agent who you can trust. There are so many obstacles buyers face in any real estate climate, but searching in a seller's market requires an extra know-how to succeed in your home buying journey. A knowledgeable real estate agent will help find the best listings for your needs, identify the right opportunities, recommend the right way to proceed in a bidding war and so much more. There are great food holidays to celebrate year-round—it just so happens that July has some of the best ones on the calendar! If you're a New Englander, then you know what it means to make the most out of the summer season. 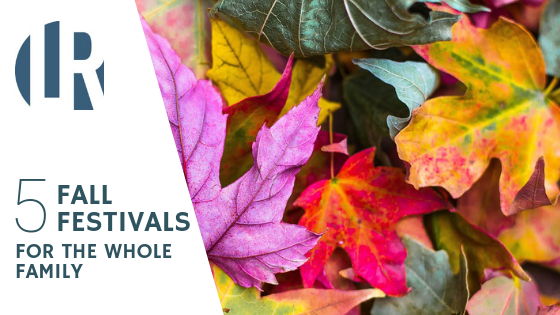 It's time to relax, unwind and even escape your own backyard for a quick weekend getaway. 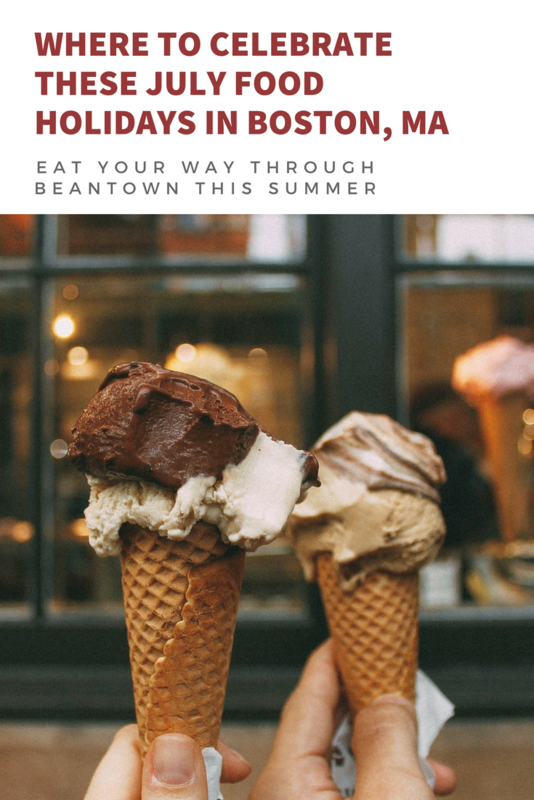 If you're a foodie living in the Boston area, it's time to get out and explore new restaurants with outdoor dining! Why? : Find a modern twist on the pina colada at Boston's very own "Japanese tavern"
Why? : The "T-Money" goes for the gold with a crispy, baked herb panko crust, caramelized onions, sauteed mushrooms—all served in a cast iron pan. Why? : Choose from 200 different tequilas. Enough said. Why? : Take your pick of wines and cheeses from all over the world with several different cheese boards. Not a cheese fan? Feel free to indulge with one of the charcuterie platters. Why? : Food Network named the bakery as one of the top 11 places in the nation for cheesecake! Where are your favorite restaurants and bars to explore in Boston? 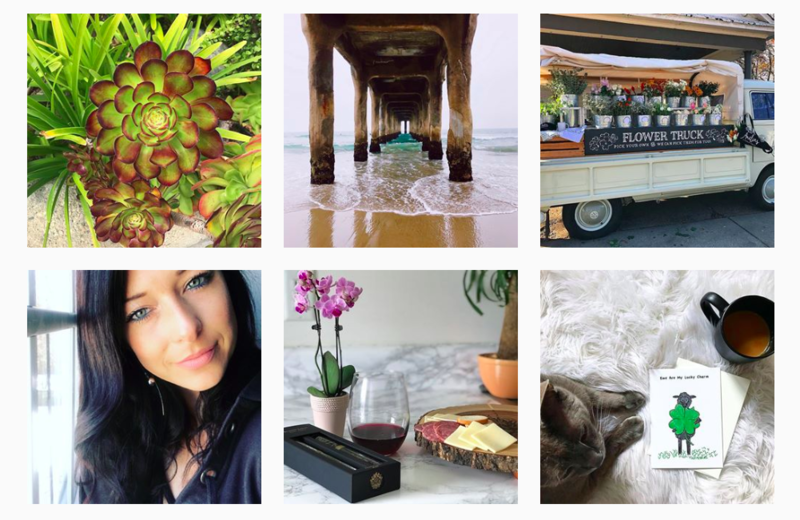 What is a lifestyle blog, anyway? 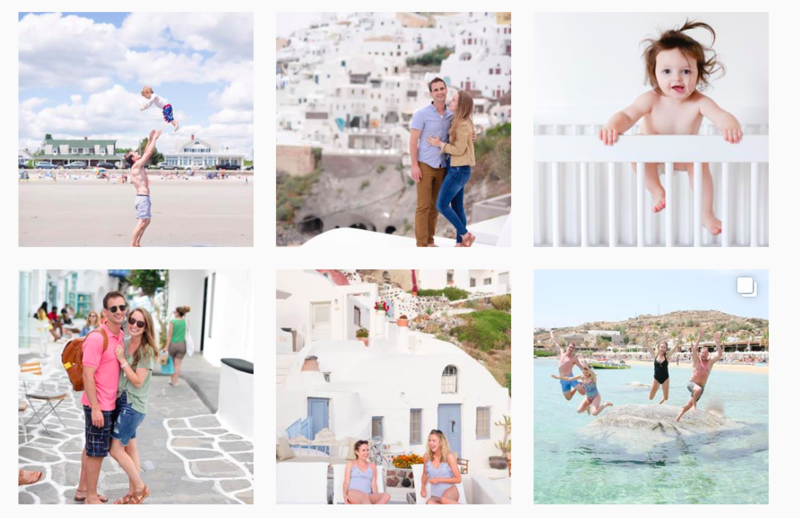 A lifestyle blog offers a more personal perspective of an individual—think of it as a more sophisticated diary, inside travel guide, home and décor magazine all in one place. 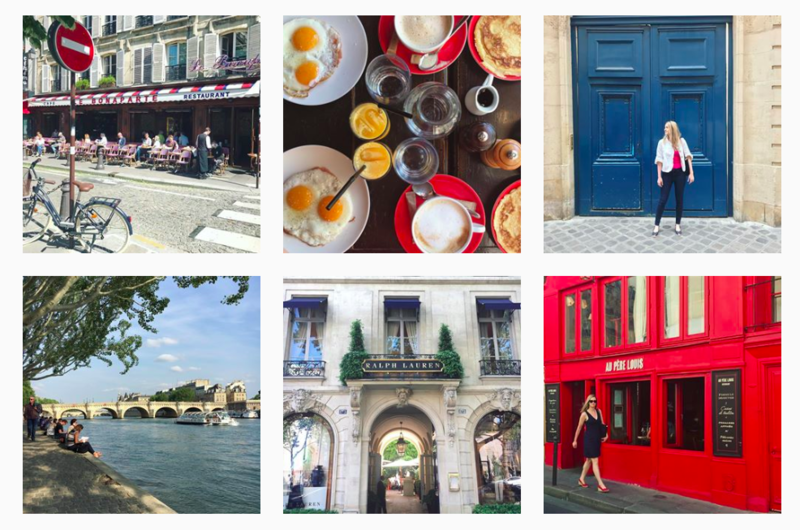 Each lifestyle blogger shares their experiences in their own backyard or abroad with their own authentic voice. About: Kristin Bassett has been living in Boston since 2006. According to her bio, Bassett works in tech marketing during the day and works on her personal lifestyle blog in her spare time. 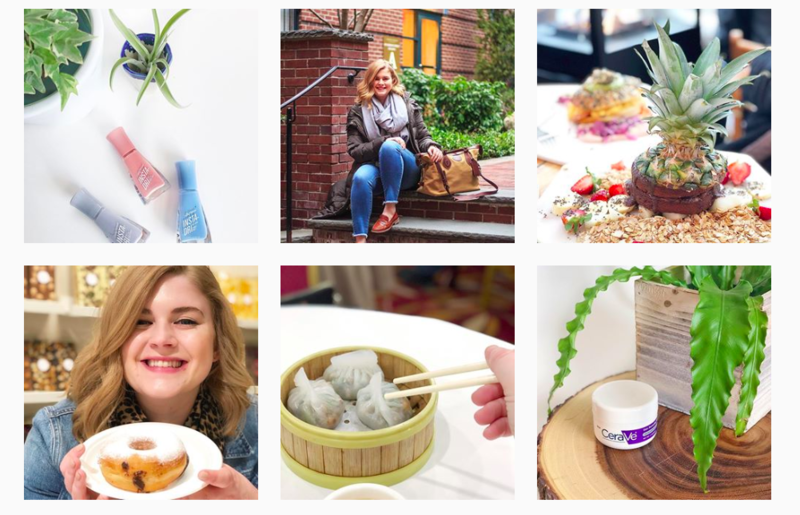 She enjoys sharing her travels and connecting with other Boston bloggers through quick Q&A interviews. About: Originally from coastal Maine, Mackenzie Murphy launched Brunch on Sunday as a creative outlet alongside her full-time job as a special education teacher. Murphy imbues her blog posts with her playful and authentic spirit. 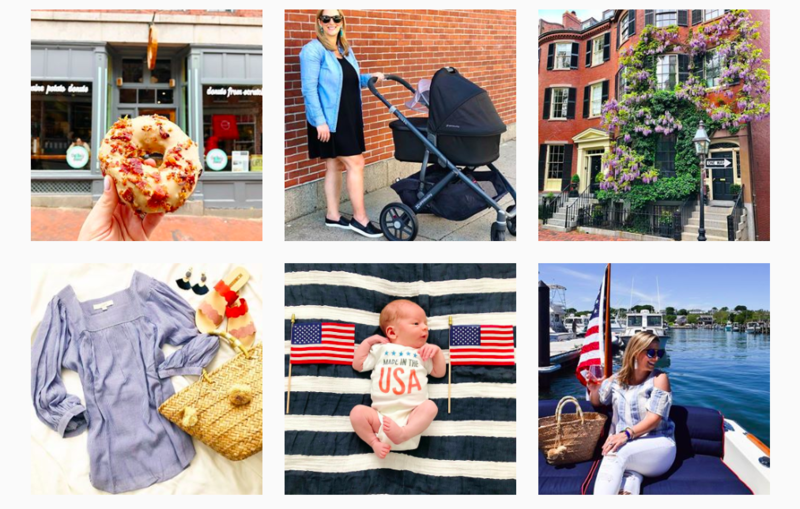 About: Elisabeth McKnight is a happy young mother, lifestyle blogger and part-time social media consultant based in the Boston area. Although motherhood is a prevalent topic in McKnight's posts, she also shares great recipes to try at home for entertaining or staying in. McKnight attended Brigham Young University and earned her degree in Political Science and Economics. About: Boston-based writer Lindsay Shores describes herself as an " avid Francophile, fluent French speaker, and lover of Parisian style and living." Shores, who spent time living in Paris, frequently travels back to the City of Light with her husband Dan and has a passion for bridging French culture with her Boston lifestyle. About: Run by blogger and mother Jenna DiMaggio, Boston Chic Party is a great reference for young moms living in Boston. DiMaggio enjoys sharing her tips on entertaining and how to be a clever hostess, as well as what to do in Boston and personal style tips. About: Courtesy of Court is Courtney Osgood's creative outlet that brings her passions together. 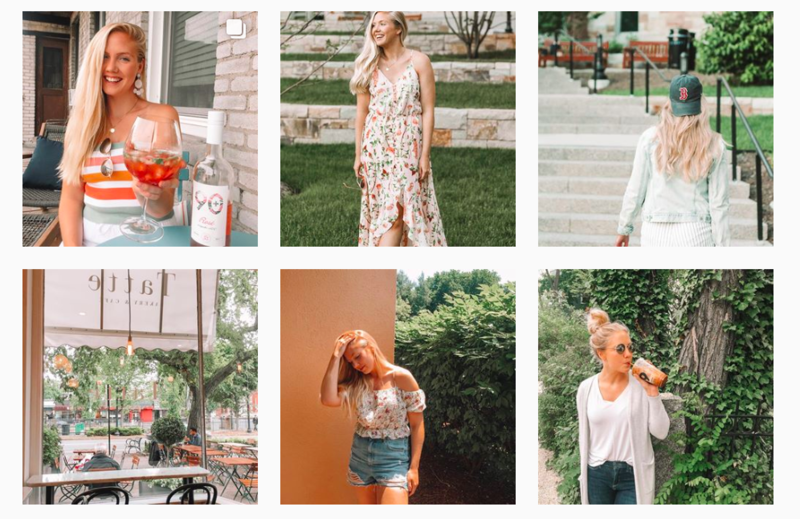 Boston blogger Osgood describes herself as a "TV journalist turned lifestyle publicist + blogger" who "finds beauty in the 'little things', and brings them to life through her writing." In 2017, Osgood launched her own PR firm, CKO PR, to help clients gain exposure to top editors and publications. 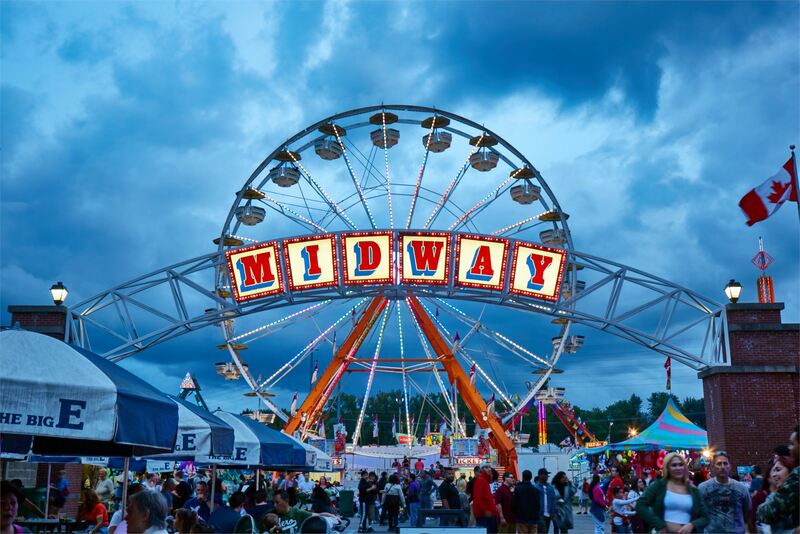 As much as we love going to Nantucket or Martha's Vineyard during the summer, there's also plenty of fun to be had in downtown Boston! 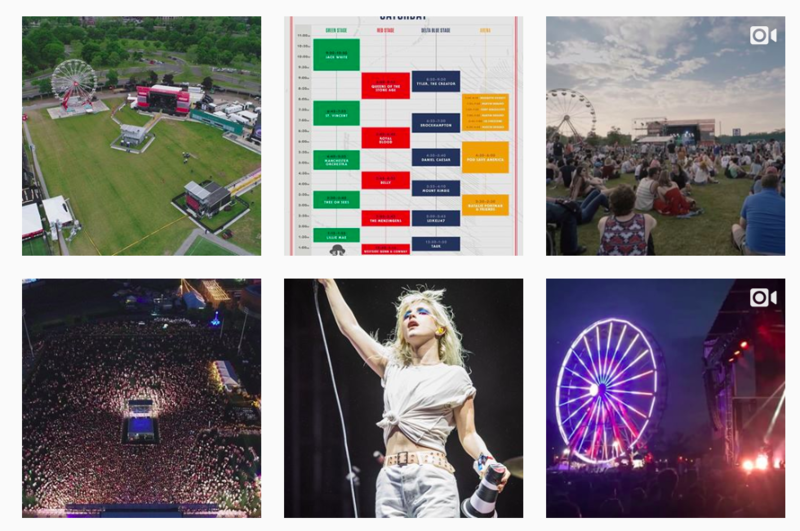 Boston Calling Music Festival is a three-day, multi-stage festival featuring the biggest and best acts in live music, comedy, and visual arts. The event will provide easy access to all performance areas, incredible concessions, indoor performances and many surprises to be announced. All ages are welcome and children under 10 are free. Sail Boston brings 52 magnificent tall ships from all over the world to Boston Harbor in June for a 5-day festival. 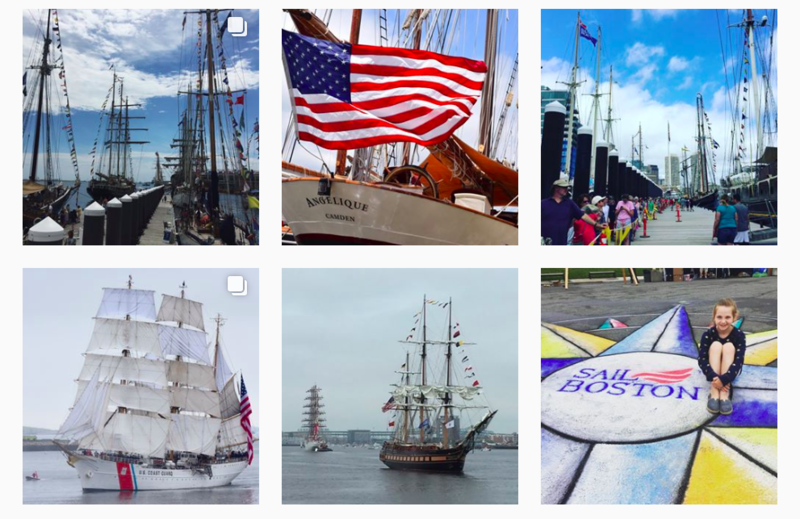 You can watch the Tall Ships Parade through the Harbor, join on-board tours, see them up close on special cruises, and enjoy the festival's celebrations and other special events. 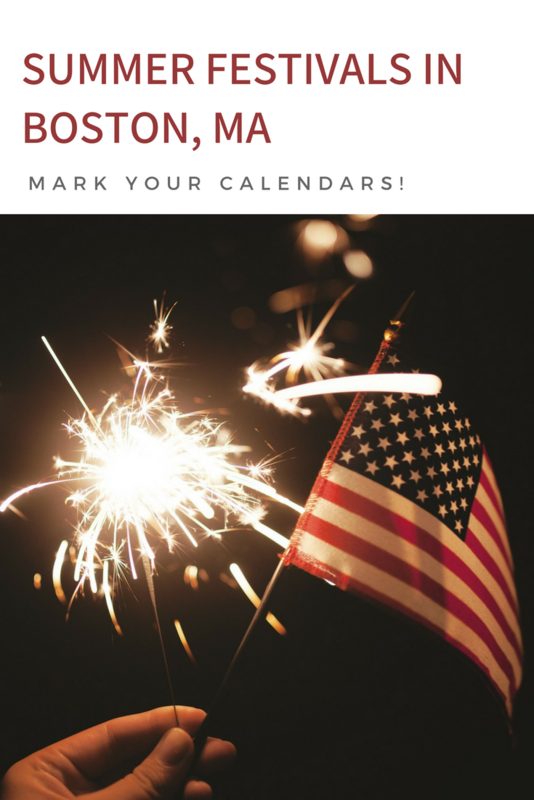 With hundreds of activities over Independence Day weekend at Boston’s best landmarks, this family-friendly event is the country’s largest Fourth of July festival. 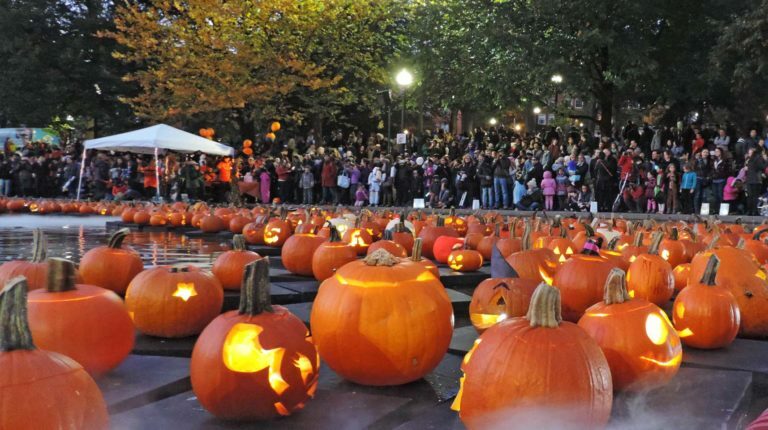 Activities include the annual opening ceremony at Faneuil Hall, historical reenactments, Freedom Trail walks, boat tours, live entertainment and much more! 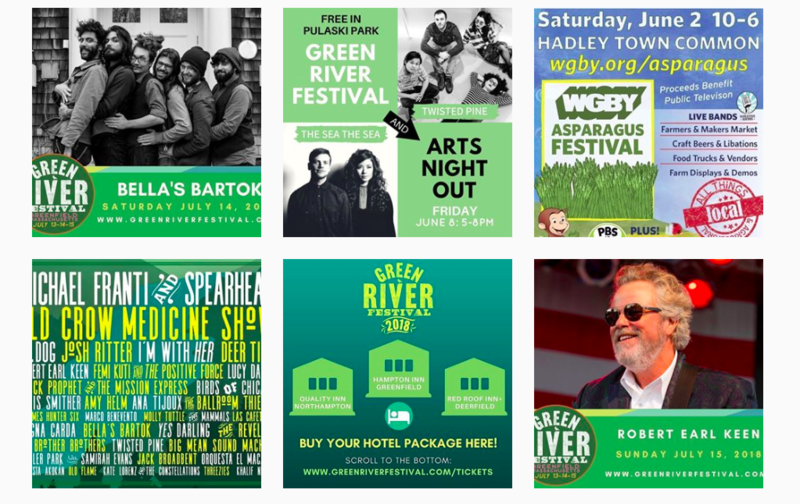 The Green River Festival is the result of two separate events held in Greenfield, Massachussetts—the Upcountry Balloon Fair on one weekend, followed by the anniversary of the local radio stations WRSI. Over time, the local events merged into today's unique folk-boho-hot air balloon festival in the Boston-area. Over the years, the festival has hosted dozens of music giants including established legends like Emmylou Harris, Buddy Guy, Lucinda Williams, Mavis Staples, Arlo Guthrie, Steve Earle, and more recent stars like The Avett Brothers, Neko Case, Calexico, Sharon Jones & The Dap Kings, CAKE, Fountains Of Wayne, Old Crow Medicine Show, Michael Franti & Spearhead, and many others. Now in its 32nd year, the Green River Festival continues to combine hot air ballooning with world-class musical performers. Living on the Boston waterfront provides homeowners the opportunity to see the city in a completely different perspective than most residents. 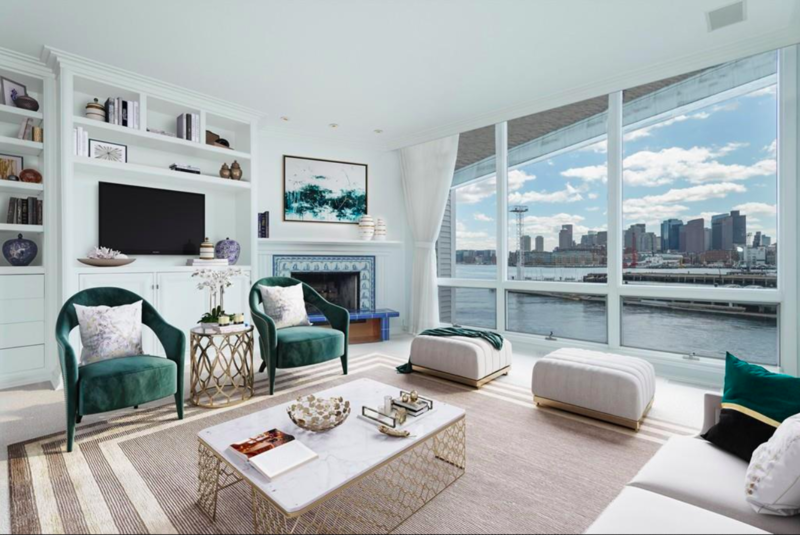 With these listings, it's possible to enjoy the conveniences of city living while having an urban oasis with plenty of natural light and calming views of the water. Your worst problem? All of your friends and family who will want to invite themselves over every Fourth of July and New Year's Eve to get a clear view of the fireworks. 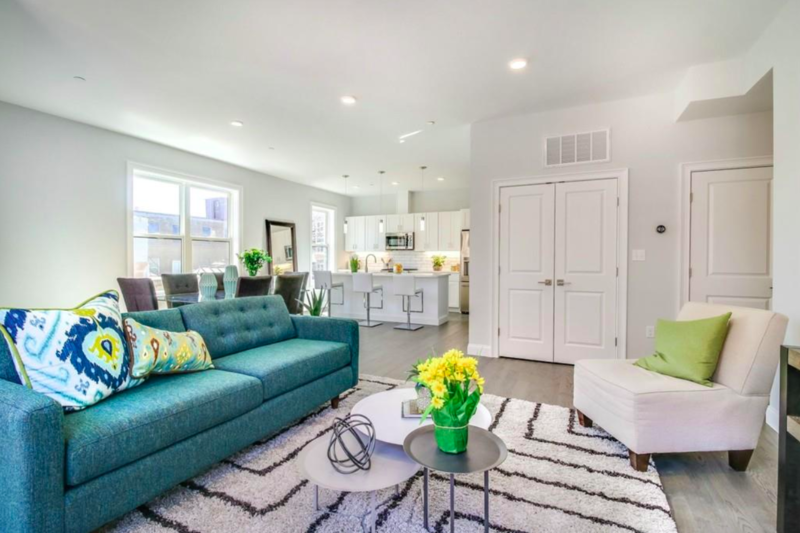 Cheerful natural light greets you as you enter this sophisticated and stylish corner home overlooking the beginning of the Rose Kennedy Greenway. Lovejoy Wharf has everything you've been looking for from front door valet parking to over 2,000 sf of health and wellness space, Related signature management services, Lovejoy Attache personalized lifestyle concierge services, rooftop sun terrace, fireside library lounge, billiards room, children playroom, event space with catering kitchen, conference room, and more, you'll find true luxury in this new community designed by Robert A.M. Stern. Captivating design features and a thoughtful layout create a warm and inviting space filled with style and sophistication. An incredible home, spectacular building, dynamic location on the waterfront and in the heart of the city. 1 parking space included. Rarely available condominium in the historic McLauthlin Building on tree-lined Fulton Street. 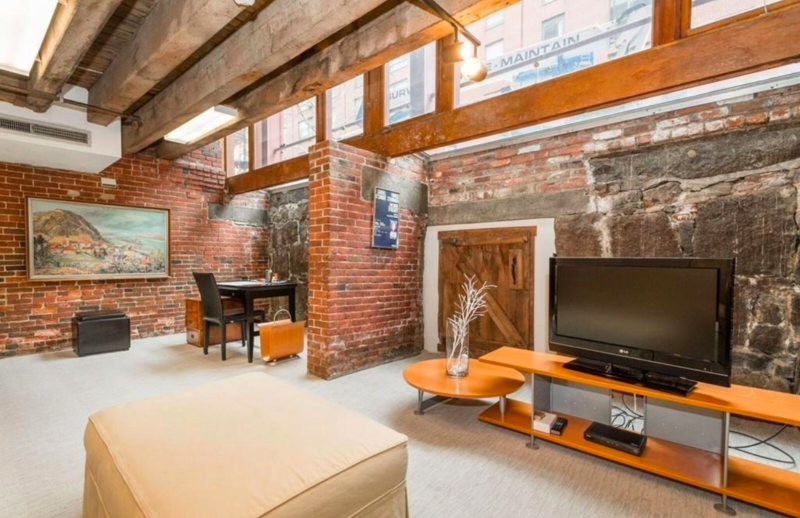 This unique brick and beam loft includes over 1000 square feet of living space. Open concept living room with office alcove. Oversized eat-in kitchen with stainless appliances. Two separate sleeping areas, one bathroom, in-unit Bosch washer/dryer and central AC. The McLauthlin is a professionally managed building in a great North End location just one block from Boston's Waterfront and steps from Faneuil Hall and the Financial District. Easy access to all major highways. A must see! Enjoy spectacular views of the Boston Harbor, the Seaport District and beyond from this rarely available upper-level, one-bedroom home in sought after Tower 1. Gracious entry foyer leads you to the spacious living room with a wall of windows, custom built-in bookcase and great sunlight from the Southern exposure. Wake in the morning to Harbor views from the large bedroom with great closet space. Galley kitchen with full appliances and ample storage. All tile bath with updated vanity and glass enclosed tub/shower. Private association pool and sun-deck area with picnic area and grills. Full service building with 24-hour doorman, concierge services and on-site professional management. Move in just in time to enjoy summer on the Boston Waterfront. 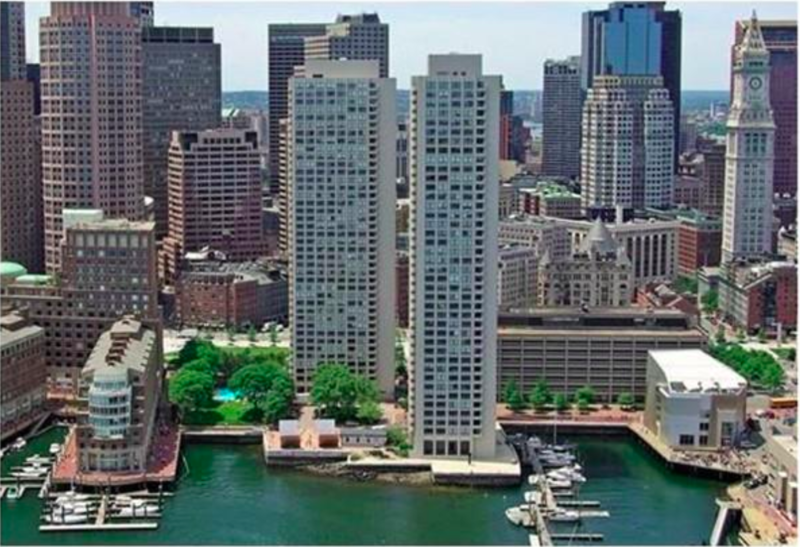 Want to see more waterfront condos in Boston? Contact Longwood Residential today!